It is a great pleasure to welcome you to our Saint Demetrios Greek Orthodox Church of Daytona Beach! 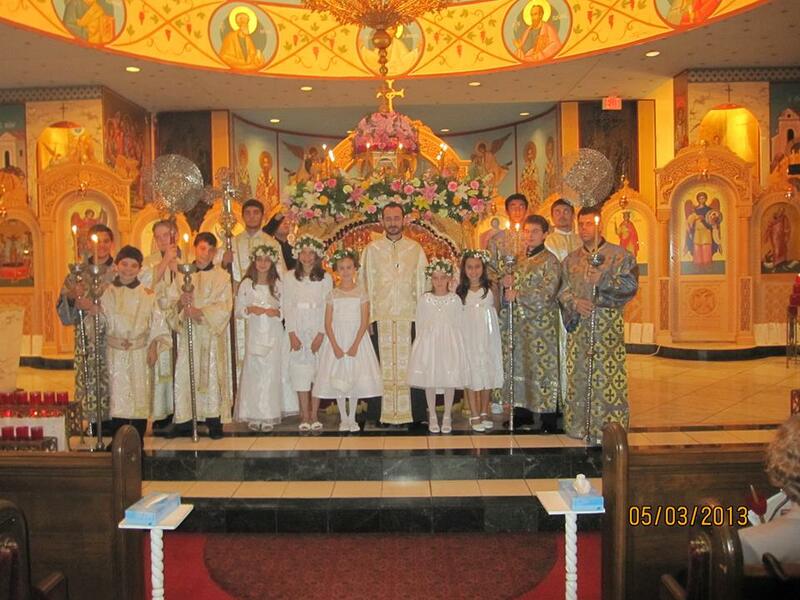 We believe that you will find our Saint Demetrios Community a wonderful place to worship our great God and Savior Jesus Christ and grow spiritually. Saint Demetrios Church is dedicated to the Great-Martyr Demetrios the Myrrh-streaming, a saint who lived during the 3rd and 4th centuries A.D. We are under the jurisdiction of the Ecumenical Patriarchate of Constantinople, the Greek Orthodox Archdiocese of America, and the Greek Orthodox Metropolis of Atlanta. Our church community offers many different ministries and programs for everyone, young and old. We hope that you will eventually become involved in some of these ministries, as they work to further spiritual growth and community fellowship. As you grow more comfortable as part of our church family, please let us know which ministries you would like to participate in and in which you would be willing and able to serve. Within this site, you will find some useful information about our parish. We also have provided a Family Information form, which you may complete and return to the Church Office. Upon receipt of this form, you will be added to our parish mailing list and begin receiving issues of The Good Shepherd, our monthly parish bulletin, which contains informative articles, monthly schedules, and news and announcements from the various ministries. Thank you in advance for your interest. May your participation as a member of the Saint Demetrios Church Community prove a great source of spiritual growth and enrichment for yourself and your family.